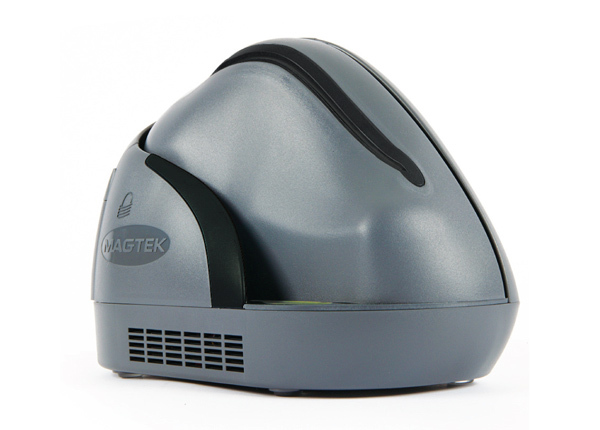 The ImageSafe Scanner is a single-feed MICR (Magnetic Ink Character Recognition) reader and a dual-sided check scanner. 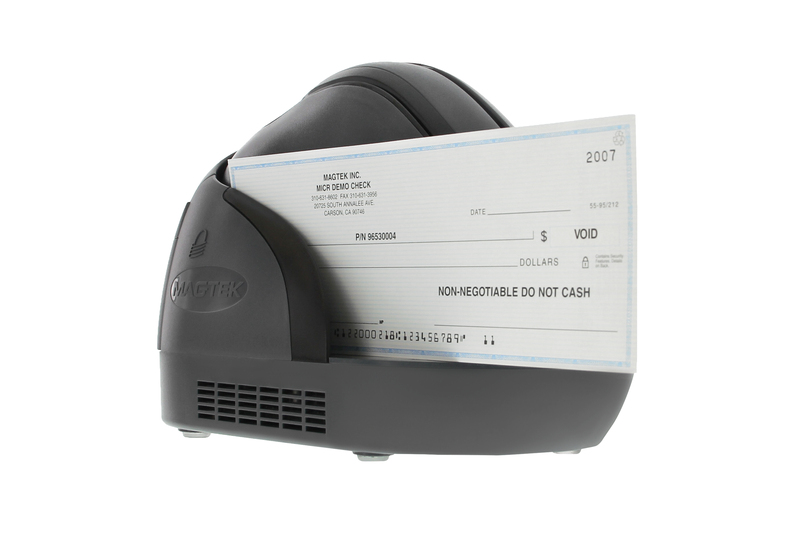 In a single pass, the ImageSafe Scanner reads the MICR characters at the bottom of a check and produces a digitized image of the entire check (front and back).  The characters and the image are then transmitted to a host device which is typically a PC. 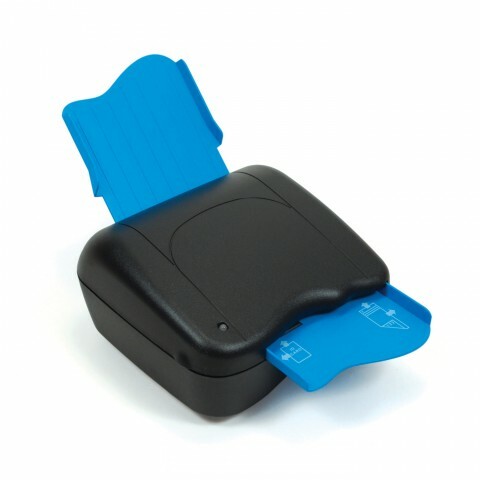 The ImageSafe Scanner also offers an integrated MagneSafe secure card reader to secure card based payment transactions by encrypting the encoded card holder date on debit, credit and gift cards. 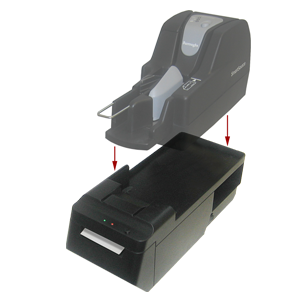 The MagneSafe reader can be used with a magstripe card for 2-factor authentication during web based financial transactions. 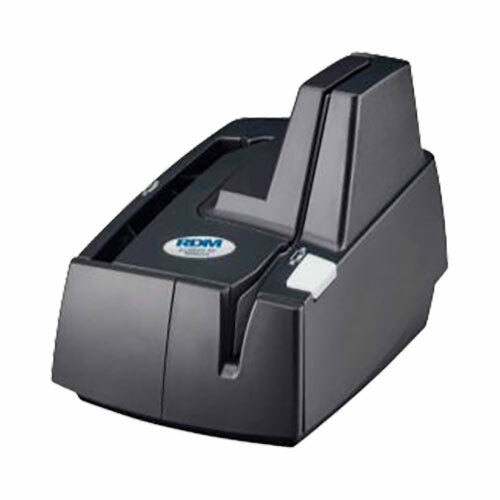 The MagneSafe reader will auto-discriminate between different card formats such as: ISO (International Standards Organization) or AAMVA (American Association of Motor Vehicle Administrators). 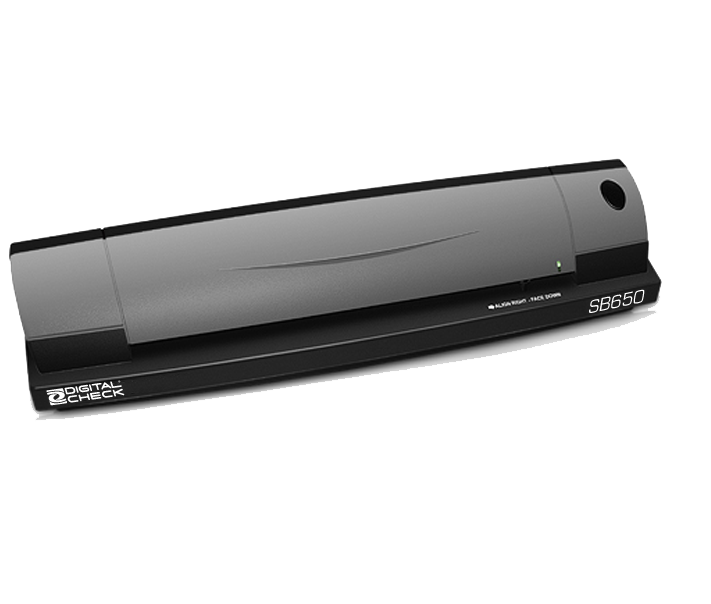 The multi-purpose ImageSafe is a compact check reader and dualsided scanner that offers a cost-effective alternative to implement PC-based electronic check applications. Ideal for use with Check 21, BOC, and remote deposit capture applications, ImageSafe also enables secure card-based payment transactions with its integrated MagneSafe secure card reader authenticator that encrypts card data at the point of swipe. The flexible device can also be used with an ID card for strong two-factor authentication during online financial transactions. 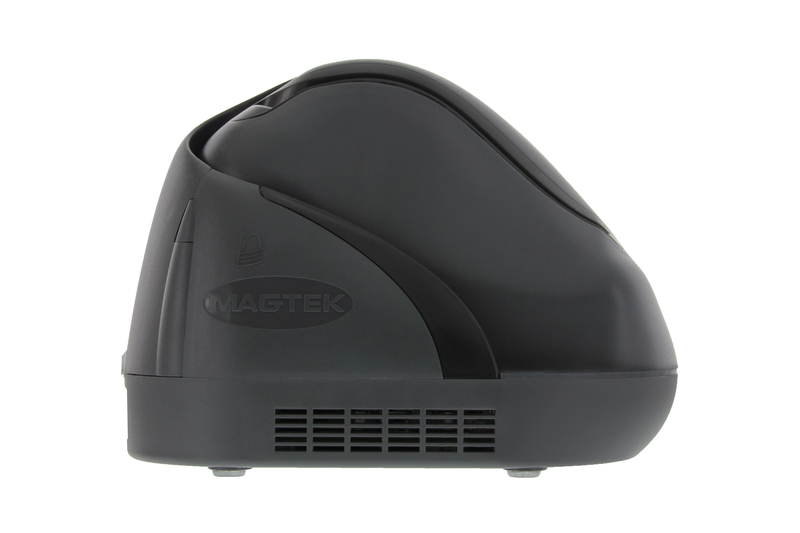 The ImageSafe is a full-featured device in a compact footprint. It enables the double-sided capture of complete check images in a single pass and supports E13B and CMC7 fonts. Using the MagneSafe secure card reader authenticator, users can easily secure credit, debit and gift card transactions in addition to capturing check images. ImageSafe connects to PCs and terminals through USB 2.0 or 1.1 interfaces and features an easy-to-read LED indicator for visibility into device status. It's everything retailers need in a secure transaction device, and more.